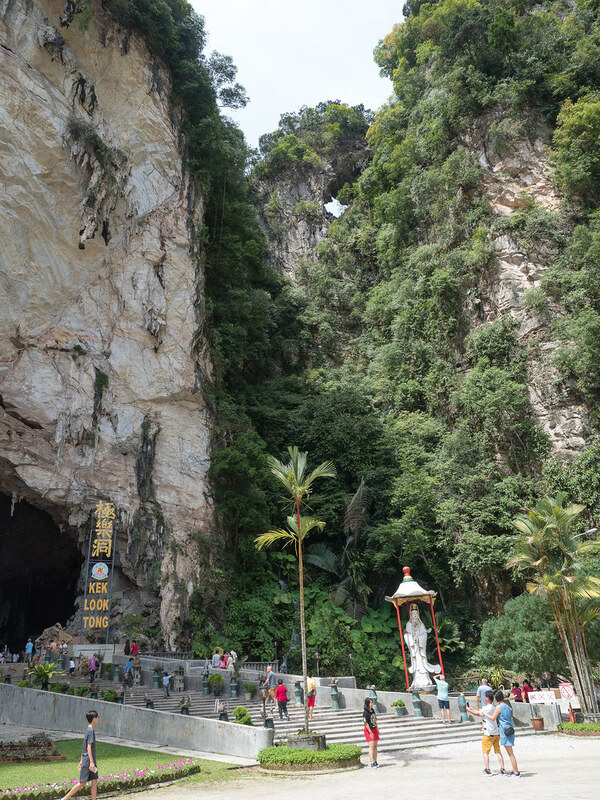 Kek Look Tong Cave Temple [极乐洞] is another must visit tourist attractions at Ipoh, Perak. 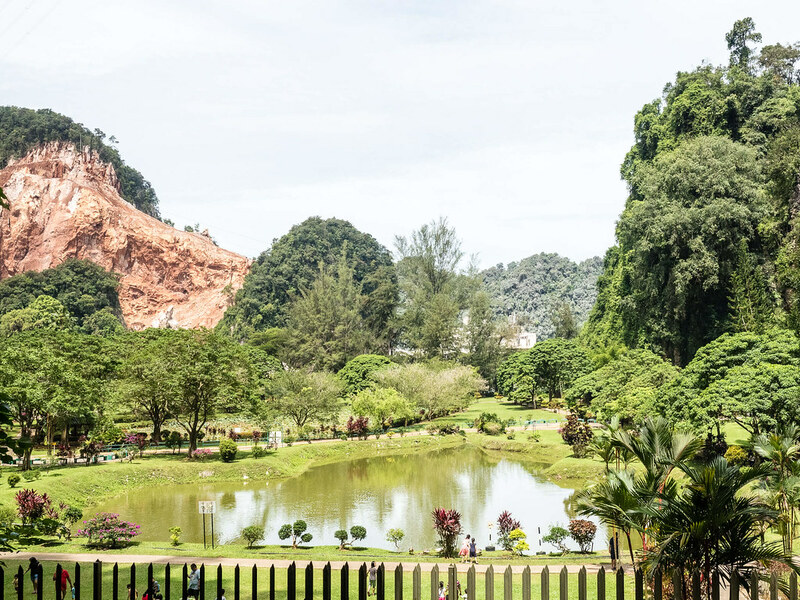 We visited this temple during our Ipoh Trip after enjoying the nature and relaxing at Gunung Lang Recreational Park at Ipoh, Perak. Kek Look Tong means Cave of Great Happiness in Mandarin. 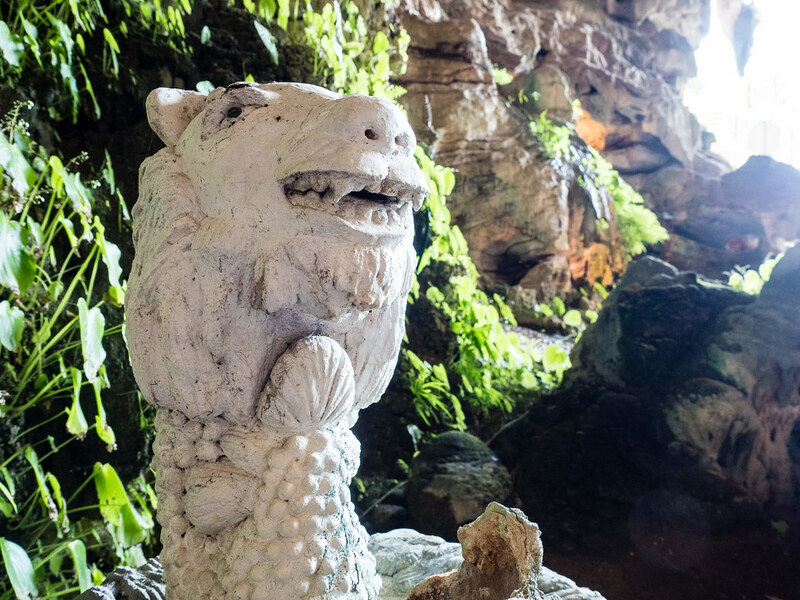 It covers an area of 12 acres with amazing sculpture, statues, limestone, stalactites, stalagmites and garden. Kek Look Tong Cave Temple opened in 1920 as a worship place. In 1960, it became a part of an iron mining and now it is maintained as a temple for worship and tourist spot. 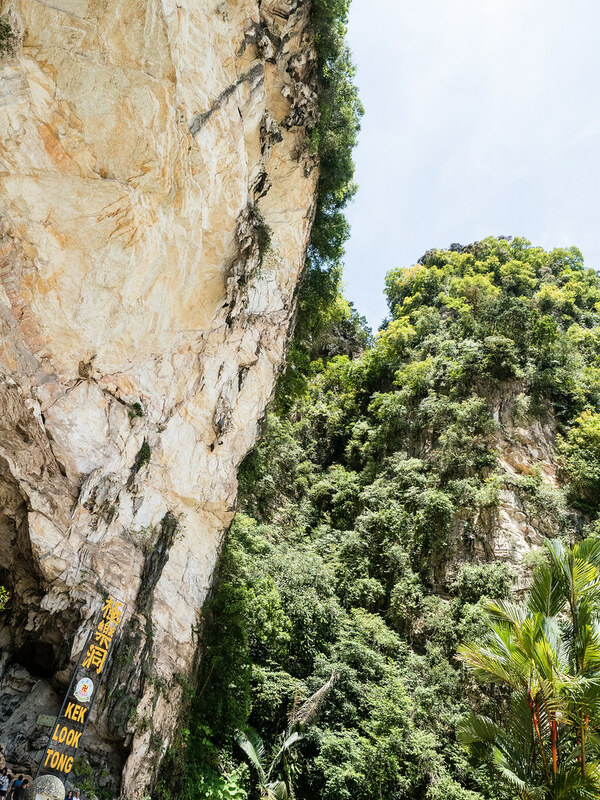 Kek Look Tong Cave Temple [极乐洞] at Ipoh, Perak is a beautiful cave temple. The entrance to the cave temple. 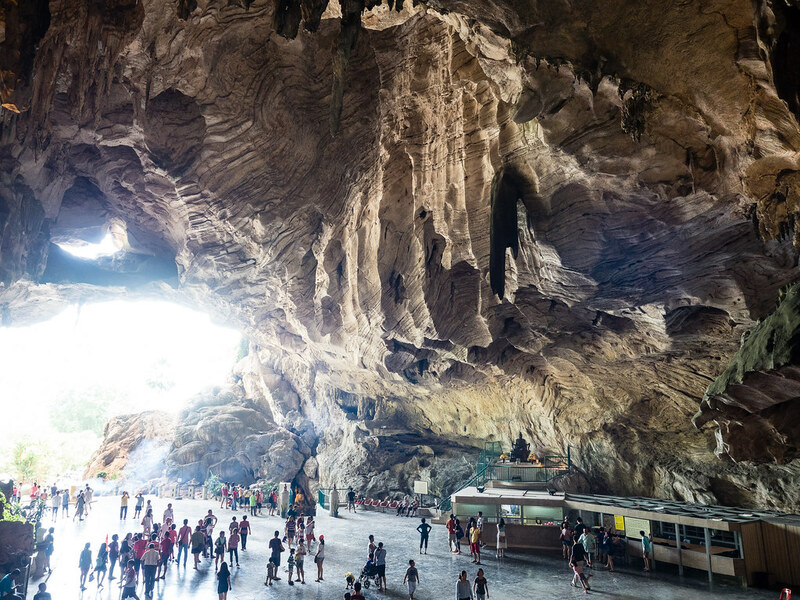 You can see the beautiful limestone hill and how big the cave is. There are many tourists on the way we visited since it is a public holiday. Do not worry about parking though, since the car park is very big. Another side of the entrance. You can see the Guan Yin (Goddess of Mercy) here. 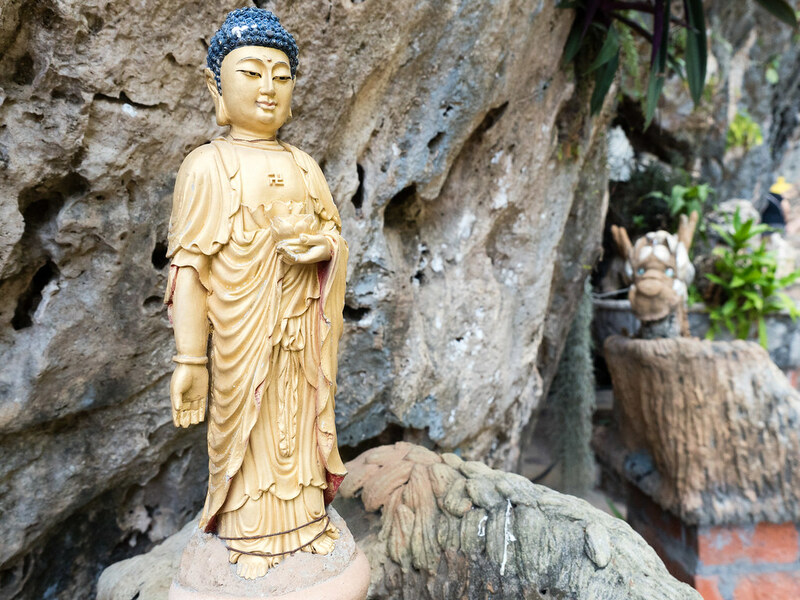 A Buddha statue along the path to enter the cave temple. 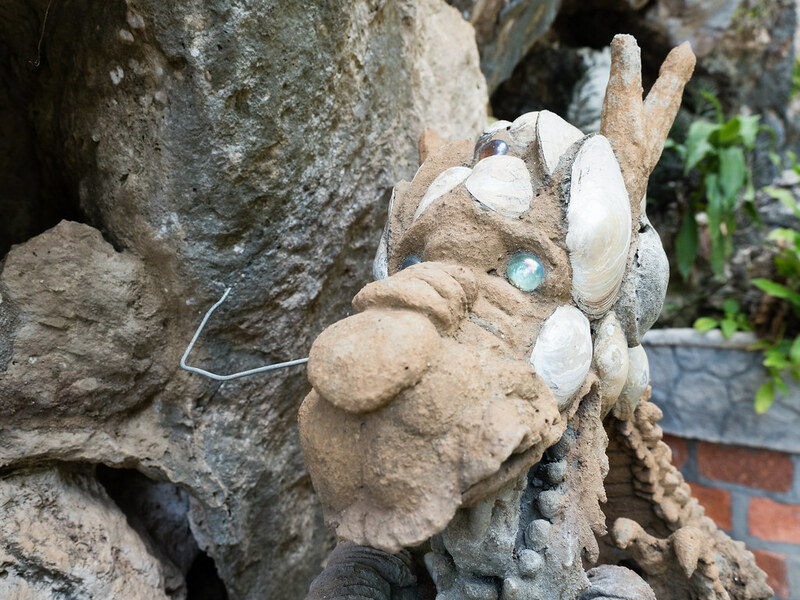 Spotted this stone sculpture of a dragon with glass eyes. 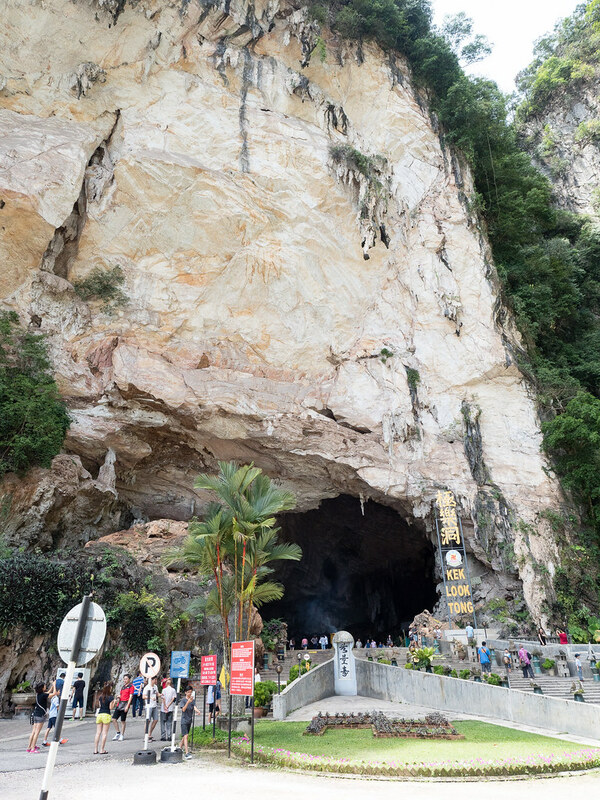 Reaching the entrance to the Kek Look Tong Cave Temple [极乐洞]. Some of the stone miniatures at the temple. 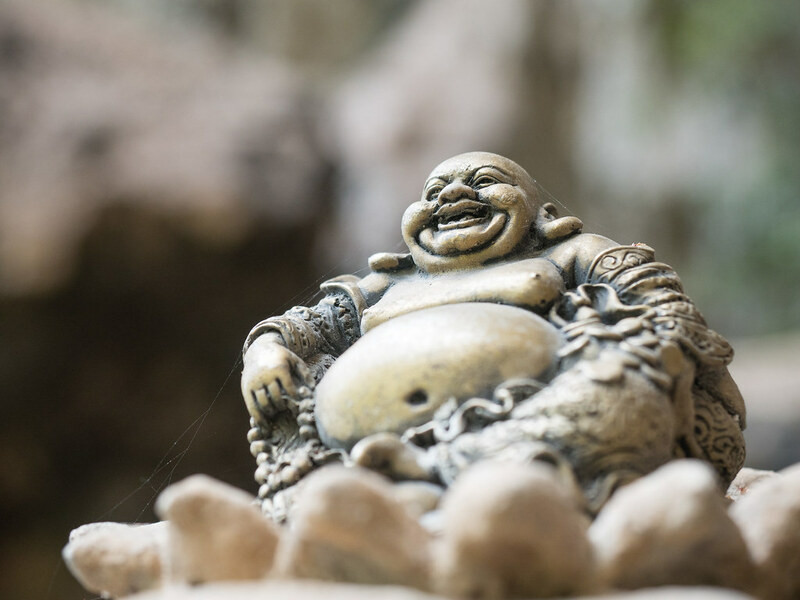 The laughing Buddha at Kek Look Tong Cave Temple [极乐洞]. 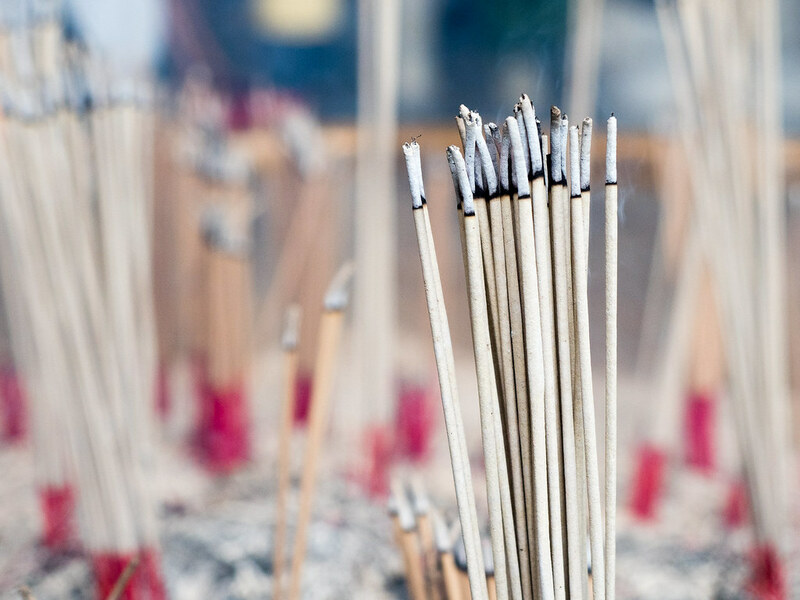 Burning incenses photo is a must when visiting a temple. 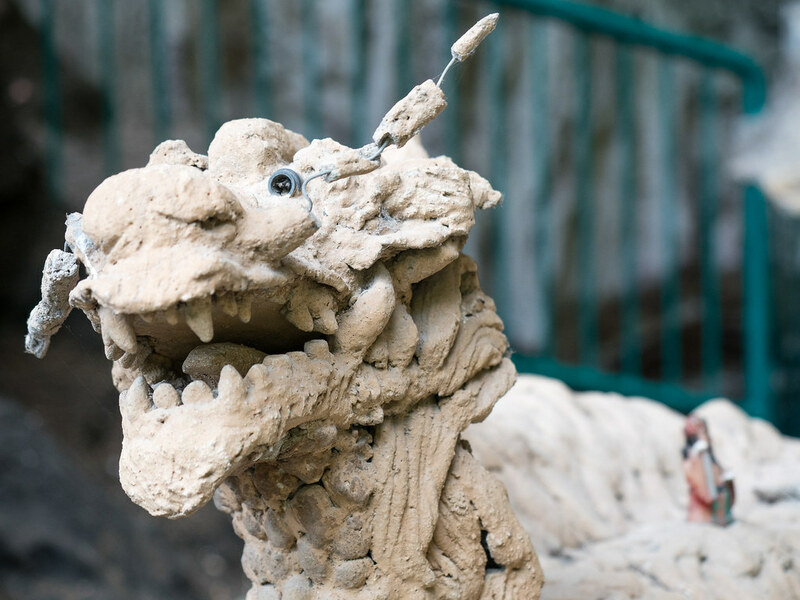 Another dragon stone sculpture at the temple. 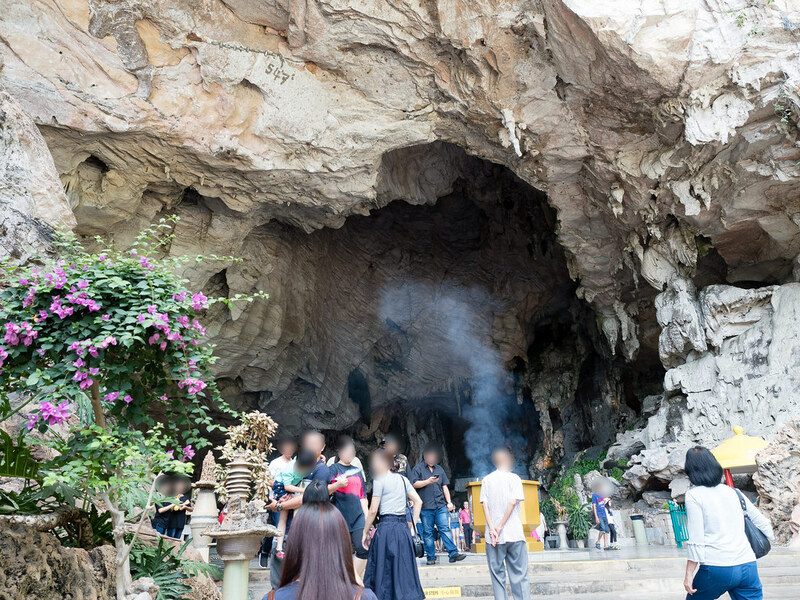 A view of the cave temple entrance from the inside. Can you see how big it is? The moment we step inside, we can feel cold breeze and it is very comfortable since the weather is very hot. 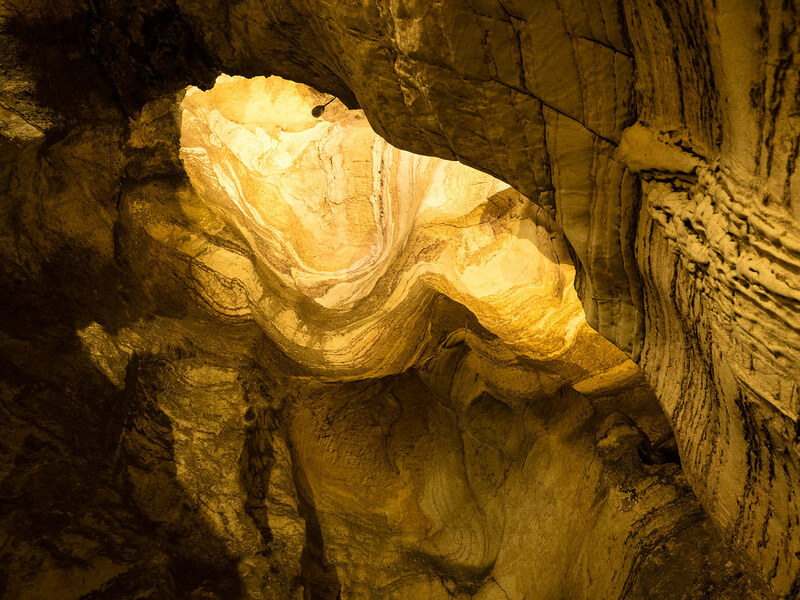 A natural formation of wall in the cave. 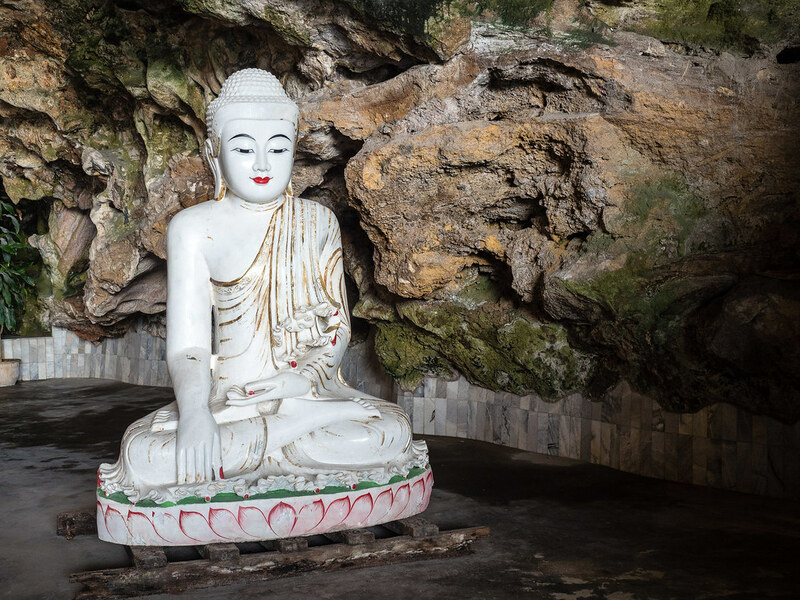 A white Buddha in the Kek Look Tong Cave Temple [极乐洞]. Another view from the inside. 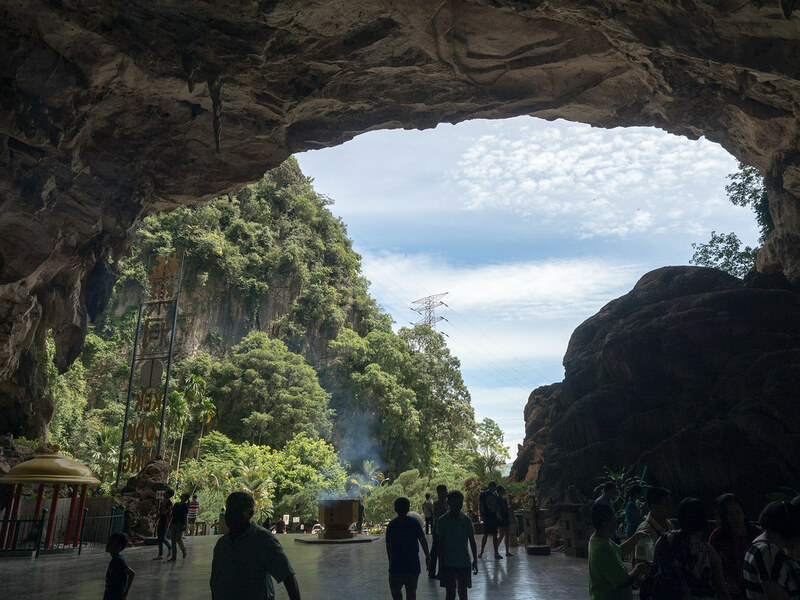 The cave’s opening provides great natural light into the cave temple. 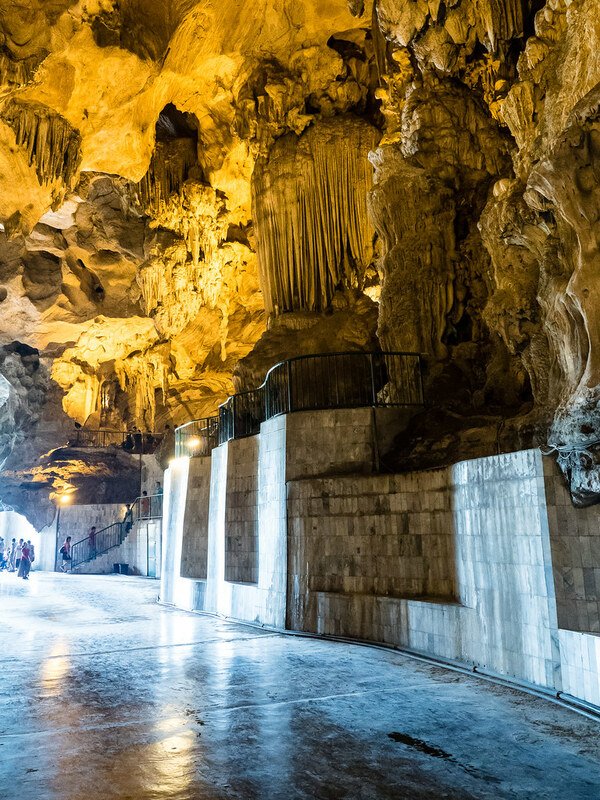 The floor in the cave is paved with solid tiles for visitors to have a comfortable time walking around. 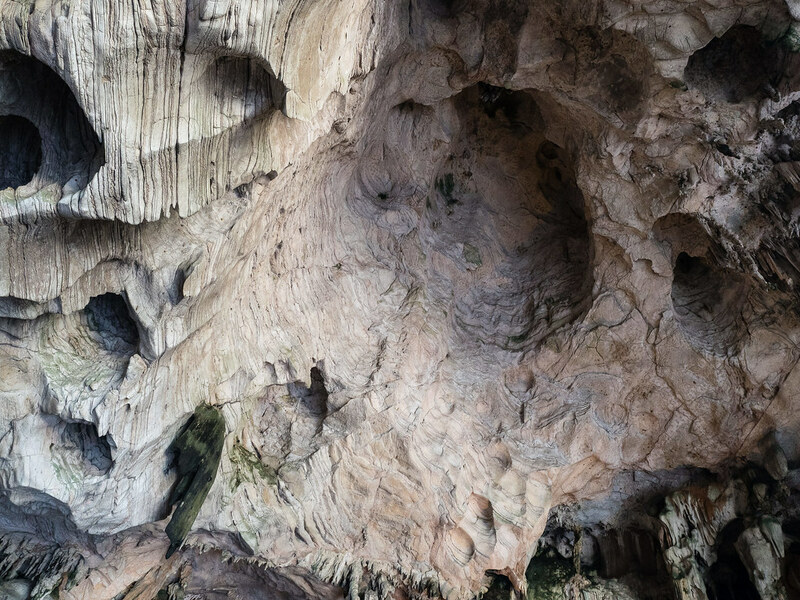 Stairs are also built for visitors to admire the natural formation of stalactites and stalagmites in the cave temple. Lights are shined onto the wall and ceiling to create beautiful reflection. 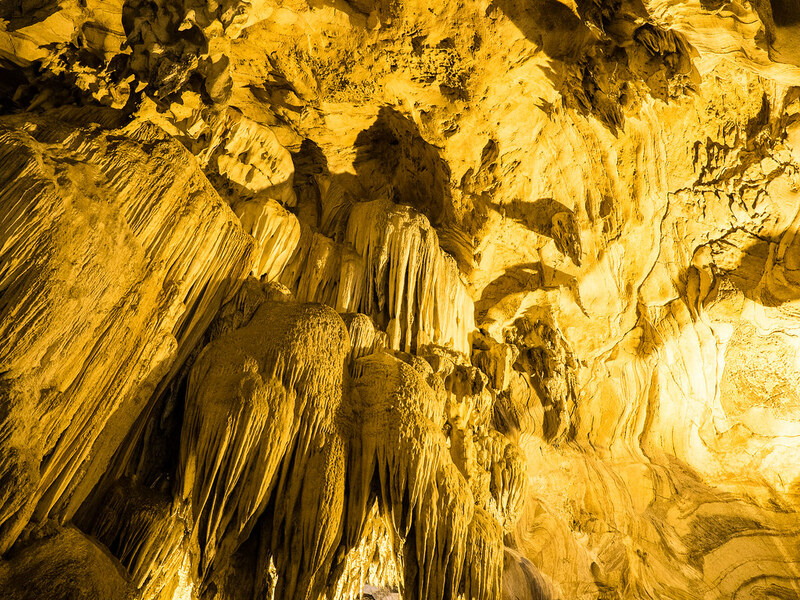 Beautiful formation of stalactite in the cave temple. There are many amazing shapes formed and it is up to your imagination to identify the shape. Please be careful when you are walking around, because some of the area are wet from the water dripping down from the ceiling. Spotted this opening in the ceiling deep inside the cave temple. I think it is an opening to outside allowing the sunlight to reach in, or it might be just a lamp? It is too high for me to check it out. 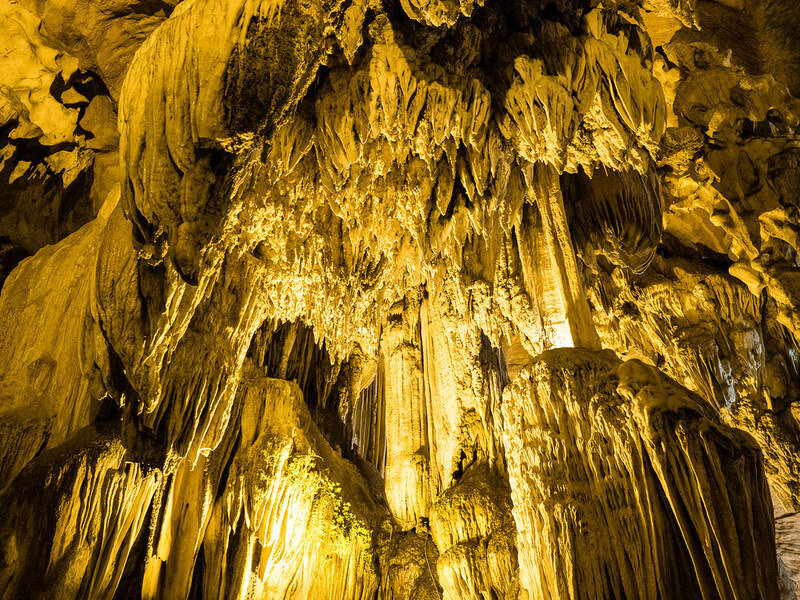 More awesome formation of stalactites and stalagmites in Kek Look Tong Cave Temple [极乐洞]. Can you see any shapes that are representing something? Do you see two dolphins here on the wall? 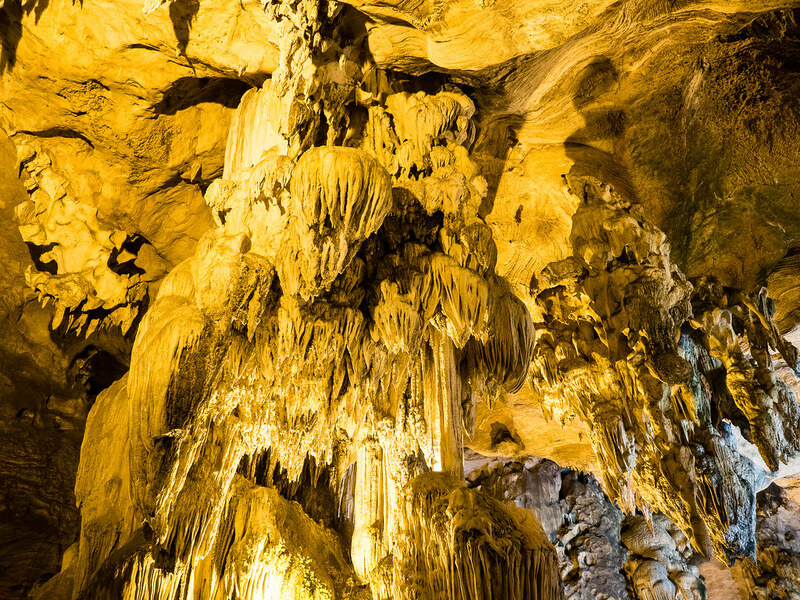 I wonder how long does it take for the stalactites to be formed like this amazing shape? According to other bloggers, this white lion looks like Singapore’s Merlion, which is a Singapore mythical icon creature with the lion’s head and a fish’s body. What do you think? 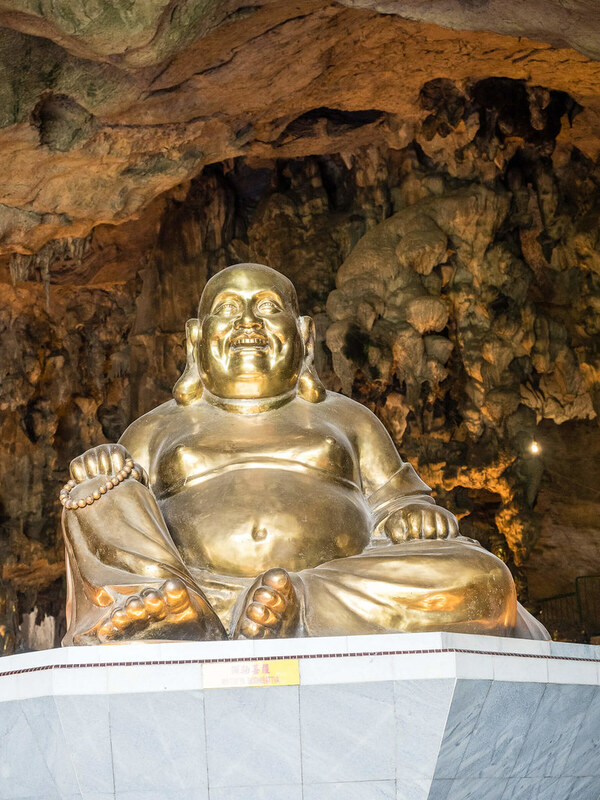 A golden laughing Buddha in the Kek Look Tong Cave Temple [极乐洞]. 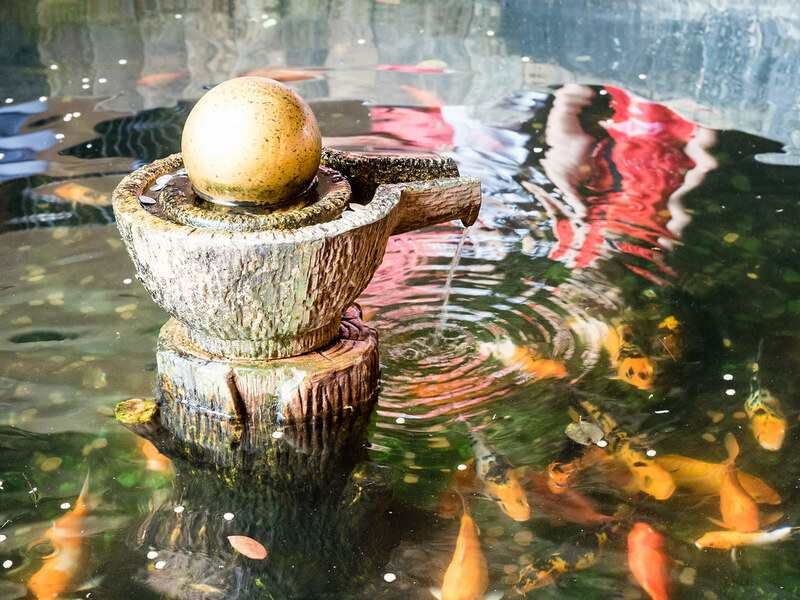 A pond near the rear of the temple with many Koi fish. The round ball you see in the photo above is spinning non-stop. 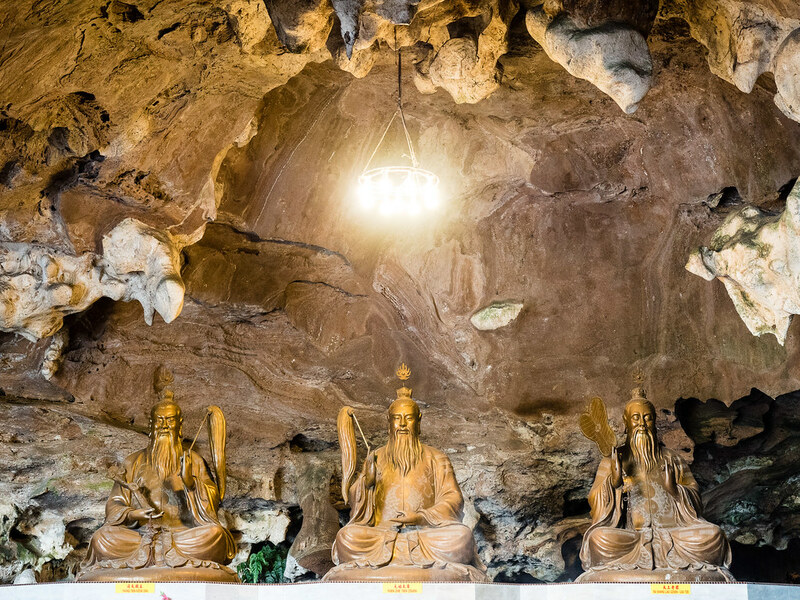 The limestone hill at Kek Look Tong Cave Temple [极乐洞]. 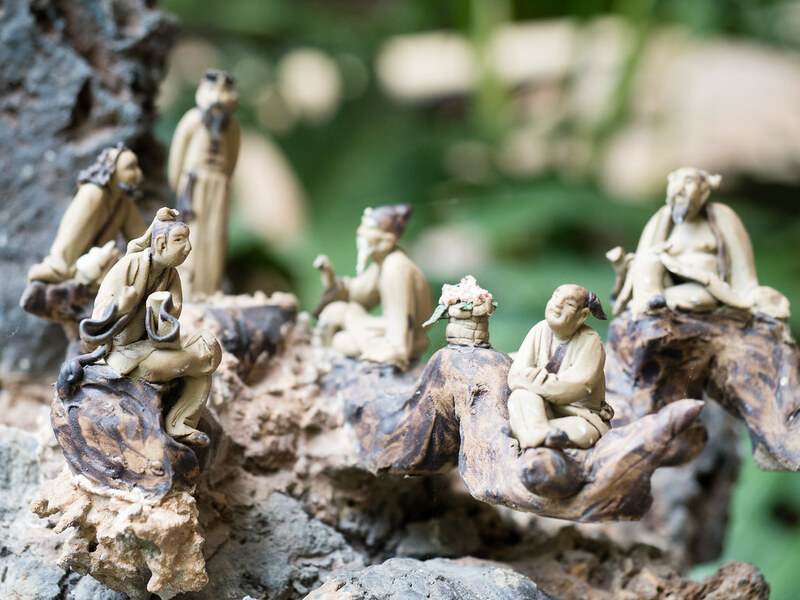 The Zen garden behind Kek Look Tong Cave Temple [极乐洞]. The weather is very hot, so we didn’t take a walk in the garden. There are gazebos, a reflexology path, monkeys, flowers and beautiful scenes in the garden. I would say this temple is very well maintained. Entrance to the cave temple is free. If you want, you can make a donation to help to maintain this awesome place. I will definitely recommend this place for anyone who are visiting Ipoh. It is very easy to come to here using WAZE. I did read about how difficult it is to find this place without GPS. Going to Ipoh Perak? Click here to view all my Ipoh’s posts. Click here to view all my travel post.